It was World Suicide Prevention Day last week and I was inspired to share my story. I am not one for displaying my feelings publicly, so it has been hard for me to publish this. After finishing my shift, my dad phoned me saying he and my nan were going to pick me up. (My nan never picks me up). The date was 5 days after my 19th birthday and all I thought was, “they must have a late birthday surprise for me,” so I skipped into the car. Then my nan and dad were bickering about this damn newspaper and whether to show me or not and I grabbed it and the headline read: ‘Body Found in Street,’ with a picture, a picture of her, of her body… of my mum. All morning, I had been selling those papers, informing every one of my mum’s death, before I even knew myself. The thing is, she wasn’t found in the ‘street’ at all. She had taken herself to a secluded spot to live out her final moments; a place away from prying eyes but clearly not from predatory paparazzi. It now makes me wonder if the press would have treated this story differently if my mum hadn’t been homeless. Did they assume she had no family to inform because she was homeless? Did they assume she didn’t deserve dignity because she was homeless? It was the day of the viewing and up until this point I believed she had died from the lifestyle she’d been living. Homeless women, on average, die at the age of 43. My mum was 48, so I had expected that she wasn’t going to make it much longer. She had even told me she wouldn’t. I remember the smell of formaldehyde, masked with cheap air freshener, as I gave the nod to confirm it was really her. I looked back at my mum again and thought the cliché: “at least she’s at peace now,” and I left. Months later, at the inquest, I realised my mum had been failed. 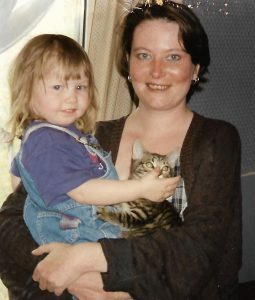 She had been failed by mental health services who refused to treat her mental health conditions if she was an addict. She had been failed by the addiction services who refused to see her addiction as an antidote to her mental illness. She had been failed by the medical professionals who said her “hands were turning black” but still released her back onto the streets. Was her voice not heard because she was homeless? Was she deemed not worth saving because she was homeless? I wonder, would you or I have received the same reaction if we asked for help? More needs to be done to help the forgotten people of OUR society. Homeless people are 6x more likely to take their own life than the rest of the general population. This statistic alone should be enough to inspire change. This is why I now work for Street Support, who are bringing together homeless organisations and charities, to ensure people get heard and don’t slip through the cracks of society. Instead of passing blame from organisation to organisation, we pass advice, hope and compassion. I truly believe this holistic approach will save lives. In loving memory of Clare Willis – 12/04/2013. I love you. I wish you could have stayed. If you have been affected by any of the issues spoken about, or know of anyone who has, please reach out. Start a conversation today to potentially save a life.